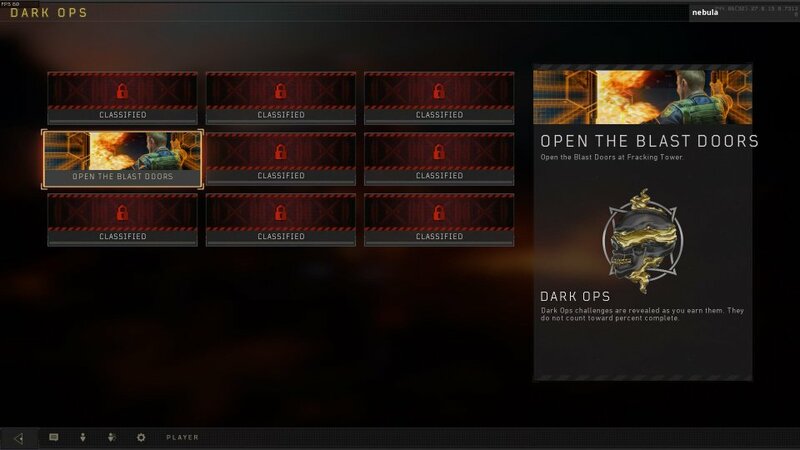 Apart from normal challenges, there are actually hidden hidden challenges called Dark Ops and they are only unlocked when you do a certain task. Once you complete a Dark Ops challenge you get a Calling Card and 25 merits for completing each. Here is a list of all the Dark ops we know so far and we’ll update as long as a new one is discovered. Shoot a basketball at the court in the Estates area of the map. Punch someone to death. You can’t have a gun in your inventory, and if you grab the Brawler perk this will be a whole lot easier to do. Try to sneak up on someone in the early game and punch their lights out! Head to the diner that’s to the west of Array. You’ll find the bright orange and green Jukebox inside the diner, and you can activate it and complete the challenge. Head to Fracking Tower, and you can see the Blast Doors at the middle of the area, from the Blast Door go north and take the stairs of the first construction and there is the control panel to open the Blast Door. Here is a video to show you how.